Good or bad setup?how to improve? i have an asus P5LD2 at 5%overclock with both fans running avrg of 1650MHz, with nvidia and realtec ALC 882 8-channel high def codec. 2gb of ram and ask for anything else u need to know. heres a pic. Re: Good or bad setup?how to improve? You mean both fans running at 1650 CFM? Also, what is your processor and are you running onboard graphics? How fast is the RAM? 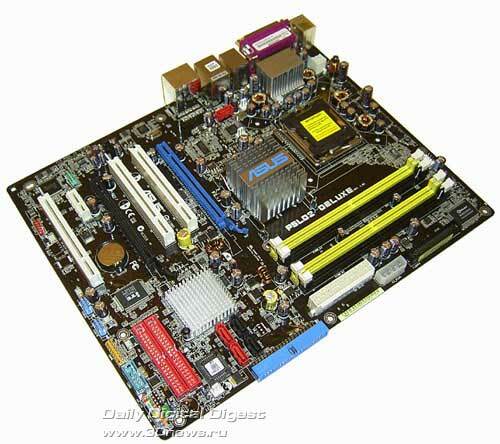 What is the MOBO FSB? Is your board a Rev 2? Does it support core processors? Which memory do you have in it? 5% overclock? that's the Asus auto overclock setting yes? Which cpu cooler do you have? You mean both fans running at 1650 CFM? I left out video card but between us I think we covered most things. However the setup would be tricky. You'd need back intake and front exhaust along with front intake and back exhaust. This way you keep your case from blasting off. If you'd like to feel pretty cool you could mod a hole in the bottom, add a vent, and a 1650CFM fan. Make sure you have cables attached to the bottom and you could have it hovering! vibration reduction by air cushoning lol. OP is still logged in, I wonder why no reply? Maybe he left window open or is browsing around. Or is there an idle system at CF? Whatever the reason, it's only temporarily. I'm pretty sure he will be back soon. both fans are running at 2150. but the second one is more of an exaust because its forcing the air out the back of my comp. under system properties it says 2.75ghz. just tell me what other info u need, i can open up the comp if im not sure. also is removing the c-mos card bad for th motherboard, i had to do it twice because some of my config settings wernt alowing me to boot,so i had to reset. it's ok to remove it but don't do it alot. what are you doing on the pc?